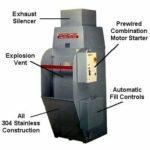 Pulse-Jet Cartridge Systems for filtration of dry/free-flowing powders, dusts, and fumes. Applications are far too numerous to list, but include grinding, welding, powder coating, grit blasting, bagging, blending, conveying and other materials-handling applications. Cyclones for collection of heavy particles and high loadings. Available with after-filters for increased collection efficiency. 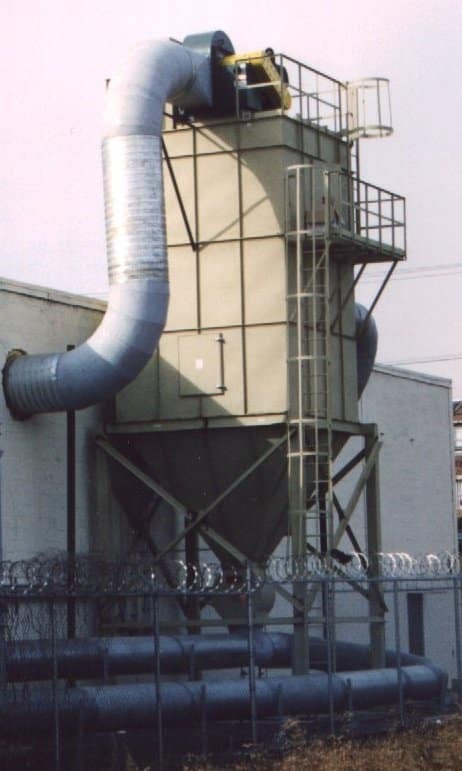 Pulse-Jet Bag House Systems for high volume and high loading applications, elevated temperatures, and fibrous dust collection. Applications include wood working, rock/earth products crushing/screening, and dryers. Wet Collectors for use with flammable metals such as Aluminum, Titanium, and Magnesium. 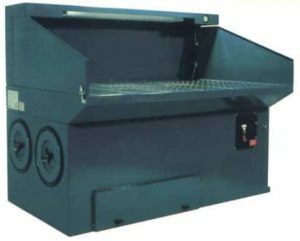 Tube-type shaker systems for fibrous dusts such as wood-working, paper, and textiles. 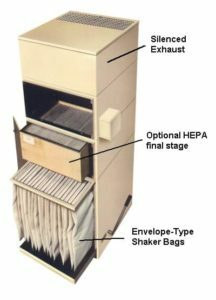 Balloon Bag systems for inexpensive control of wood-working, paper, and textile dusts. 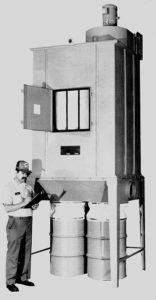 Envelope Shaker Systems and Cabinet Collectors for grinding, fibrous dust, and intermittant, low-volume, or light-loading applications. Downdraft Tables for direct capture during grinding and sanding operations. 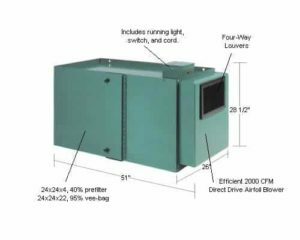 Ambient Systems for supplimental clean-up of shop air.